Some brides-to-be are super creative, “handcrafty” and would like their wedding to be absolutely personalized with decorations, wedding invitations, favors, flowers and similar elements that will have even deeper meaning to them, to their future hubbies and to the wedding guests. Do I support this idea? Since it also helps saving a buck, I do. 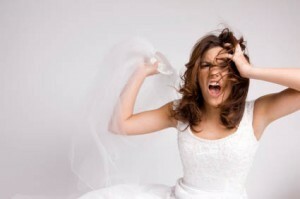 Nevertheless, there are some parts of your big day that should be left to the professionals. In my opinion, wedding foods and drinks fall into this category and I’ll try to explain my reasons for thinking like that. Many times I’ve heard people raving about the incredible food at certain wedding, but I’ve also heard them complaining when the wedding meals were unsatisfying. Even though your granny makes the best meat loaf in her area, it doesn’t mean you should “hire” her to do that. First of all, professional caterers know what foods are better for a large event such as a wedding reception and they also have the knowledge to combine different tastes of such a huge number of people. Also, nobody would like to run out of food on their big day, that’s why it’s better to hire professional caterers who know the necessary food and drink quantities per guest. In addition, experienced caterers will have no problems accommodating guests’ dietary restrictions. Since I’m very interested in food safety, I know that some (if not all) foods and beverages need to be kept within a highly specific temperature range. Not doing this means your guests might easily get sick of your DIY project. If you’re not familiar with these protocols, you better leave preparing and serving foods to the professional caterers. Finally, preparing, serving, setting, transporting and storing food for a large event in the days leading up to the big event is too stressful for anyone. You can make DIY favors a month before your wedding, for example, but the food has to be freshly prepared and, trust me on this one, you won’t have neither time nor energy to deal with that a day before you need to look and feel perfect and radiant! And if right now you’re thinking about not doing it yourself but asking a family member or a friend to help you, even if they accept this with smiles on their faces, the chances are they’ll resent the tasks they need to accomplish very soon. Your important guests need to be celebrating and enjoying your wedding instead of being stuck in the kitchen, feeling tired and nervous. Servers and bartenders are hugely important for any type of event and your wedding is no exception. In general, you should have at least one server per 10 guests (if they are seated) and approximately 1 bartender per 70 guests. Of course, if you’re hiring a wedding bar and food stations, you might get away with not so many servers. But, even then, any food station, buffet or event bar should be covered with at least one chef/bartender. What about saving some money by using your cousin’s friends as waitresses and bartenders? Well, it is an option if you’re prepared to see your wedding running not as smoothly as you’re hoping for. You don’t have to go on a DIY journey when planning and organizing your big event. Regular wedding bars look so dull and boring to you? Consider wedding bar hire that will provide you all the authenticity and fun you need. Also, you can give your caterers some ideas or to insist on certain meal/drink to be present and served on your big day. It won’t be less “personal” if you don’t do it personally, but it will be less stressful, that’s for sure.